On the Greek island of Ikaria, people are far more likely to live to 100, and diseases like lung cancer mysteriously disappear. One day in 1976, Stamatis Moraitis of Boynton Beach, Florida, felt short of breath. Climbing stairs was a chore; he had to quit working midday. After reviewing his X-rays, his doctor concluded that Moraitis had lung cancer. As he recalls, nine other doctors confirmed the diagnosis. They gave him nine months to live. He was in his mid-60s. Moraitis, a Greek war veteran who had arrived in the United States in 1943, considered staying and seeking aggressive treatment. That way, he and his wife, Elpiniki, could be close to his adult children. But he decided to return to his native island, Ikaria, where he could be buried with his ancestors in a cemetery that overlooked the Aegean Sea. 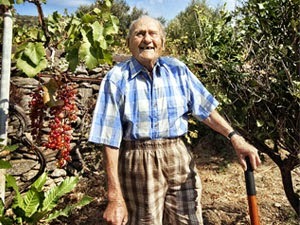 He and Elpiniki moved in with his elderly parents, into a tiny, whitewashed house on two acres of stepped vineyards on the north side of Ikaria. garden. He didn’t expect to live to harvest them, but he enjoyed being in the sunshine, breathing the ocean air. For more than a decade, I’ve been organizing a study of places where people live longest. 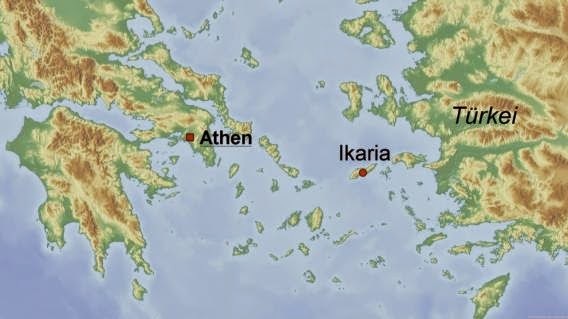 In 2008, my colleagues Michel Poulain, PhD, a Belgian demographer, and Gianni Pes, MD, a researcher at the University of Sassari in Italy, and I began investigating Ikaria. Ninety-nine square miles and home to almost 10,000 Greek nationals, the island lies about 30 miles off the western coast of Turkey. We concluded that people on Ikaria were, in fact, two and a half times as likely to reach age 90 as Americans. Ikarian men, in particular, are nearly four times as likely as their American counterparts to reach 90. Ikarians were also living about eight to ten years longer before succumbing to cancers and cardiovascular disease, and they suffered less depression and about a quarter the rate of dementia. The couple were born in a nearby village; they married in their early 20s and raised five children on Thanasis’s pay as a lumberjack. Their daily routine: Wake naturally, work in the garden, have a late lunch, nap. At sunset, they either visited neighbors or neighbors visited them. 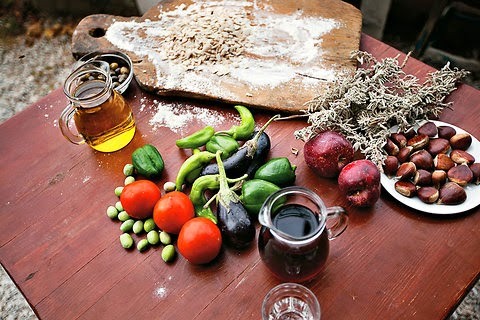 Their diet was also typical: a breakfast of goat’s milk, wine, sage tea or coffee, honey and bread. Lunch was almost always beans, potatoes, greens (fennel, dandelion, or a spinachlike green called horta), and seasonal vegetables from their garden; dinner was bread and goat’s milk. At Christmas and Easter, they would slaughter the family pig and enjoy small portions of larded pork for the next several months. age of 98 shortly before his death. Dan Buettner’s latest book, The Blue Zones Solution, reveals how Americans can adopt healthier lifestyles. It will be published this spring.